Clara, Betty and Veronica were as different as sisters can be. Rare was a time when all three would agree. they fought over grandma’s old purple-striped box! they turned it that way and this. and Clara bid it adieu with a kiss. But oh, what a wonder did come from that blunder! for whom each one had been made! Write a vignette for a chance to win a lipstick of your choice! Write a short poem (4-5 lines) about the sister of your choosing, her personality, and why her lipstick is perfect for her. 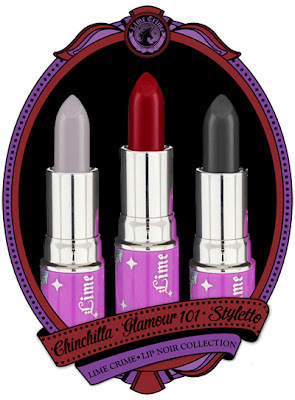 And as always, buy up your Lime Crime Makeup HERE!